A rarity among great boxers – retiring undefeated. Even the best pound for pound fighter these days, Manny Pacquiao, has three losses in his track record. Floyd Mayweather doesn’t, but that’s a different story. Here are the men, some fantastic boxers, some somewhat less, to retire as champions and undefeated from boxing. 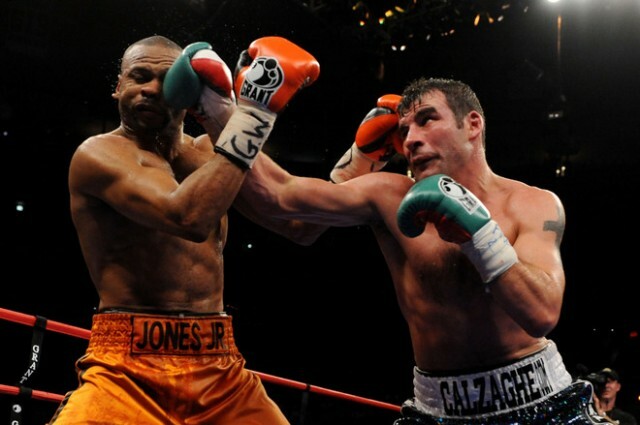 The Pride of Wales, Joseph William Calzaghe, also known as the Italian Dragon, began his professional career in 1993 as a Super Middlweight and ended it on February 2009, three months after his final bout and win over Roy Jones Jr. (Unanimous Decision), retaining the Ring Light Heavyweight title, finishing his career with a 46-0 (32 KO’s) record. The only Heavyweight Champion to retire undefeated, Marciano became the heavyweight champion in September 1952, beating Jersey Joe Walcott (for the first time) in a 13th round Knockout, leaving Walcott hanging on the ropes, laying motionless long after the count was finished. 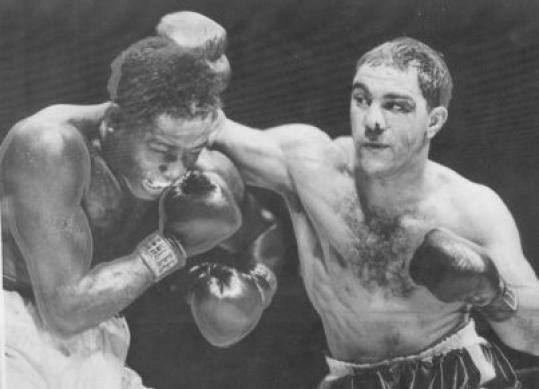 Marciano went on to defend the title six more times, retiring on April, 1956. Also known as Michael Loewe, this Romanian fighter turner race-car driver began his pro career in 1991 and spent his entire career fighting in Germany and Austria. 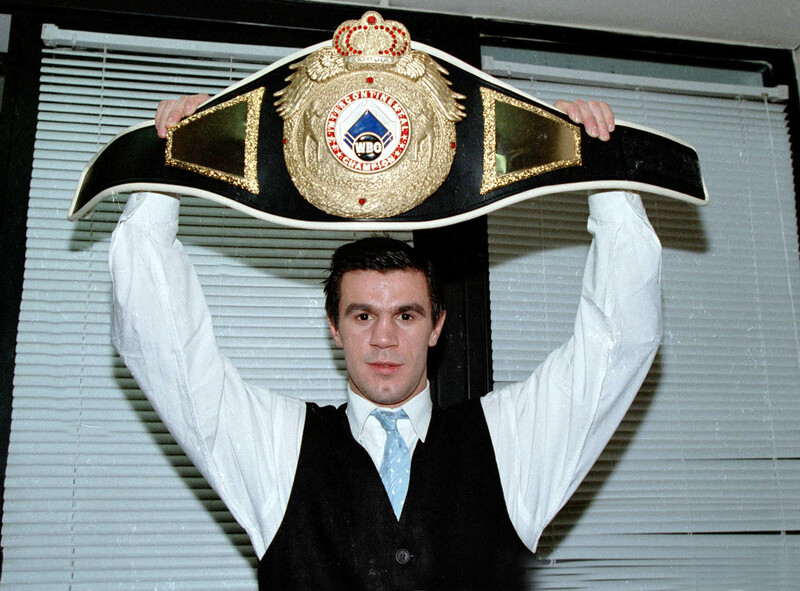 He won the WBO Welterweight belt in 1997, retaining it for only one fight before retiring due to an injury. He retired with a 28-0 record, 10 KOs. This Thai fighter turned professional in 1988, winning all 27 of his fights. All of them took place in Thailand, winning the IBF flyweight title in 1992. He defended the title five times before retiring in 1994. He made two comebacks to boxing in 1996 and 2000, winning a total of three more fights before hanging up his gloves for good. 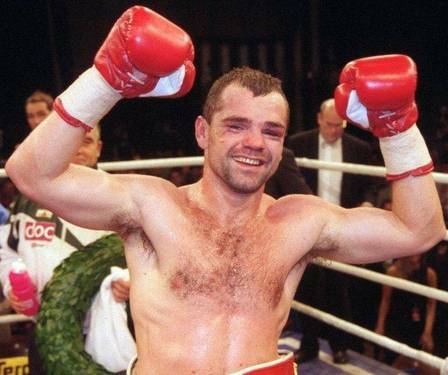 This German Boxer, who held the IBF and WBA Super Middleweight titles durign his 2004 retirement was already 30 years old when he turned pro after a career over 300 amateur fights. It took him less than a year to beat Charles Brewer for the IBF belt. He won the WBA belt, beating Byron Mitchell, on a split decision, in 2003. He reitired with a 34 wins, six by knockouts, and quite a few controversial decision wins. South Korean Ji-Won Kim was the Super Bantamweight IBF champion for a short time during the mid 80’s. He retired so he can pursue his acting and singing career, what else. His career record – 16 wins, 2 draws. Another short reigning champion, Terry Marsh began his professional career in 1981 at the Light Welterweight division. He won the IBF belt in 1987, beating Joe Manley at his hometown of Basildon. He defended the title only once before retiring . Later on he was charged with the murder of his former manager, Frank Warren, but nearly a year later was acquitted at trial. Strawweight, yes, strawweight. Guys who weight no more than 48 kilos, or 105 pounds. Lopez dominated the division for over a decade, winning his first belt, the WBC minimumweight belt in 1990. He won the WBO, IBF (light flyweight) and WBA later in his career, retiring in 2001 with a record of 51 wins and one draw, defending his titles 26 times. One of the more exciting fighters in recent years but also one of the most troubled and violent cases outside the ring. Valero’s career did not end due to some comfortable retirement – On April 2010 Valero was arrested after his wife was found murdered in their hotel room. Valero allegedly confessed to murdering her to Police and Hotel Security. The Following day he was found hanging in his prison cell. The suicide version isn’t accepted by everyone, with some doubts and suspicions raised about the manner of his death. Strictly boxing speaking, Valero won all 27 fights by knockout, and won his first 18 with a first round knockout, a world record. 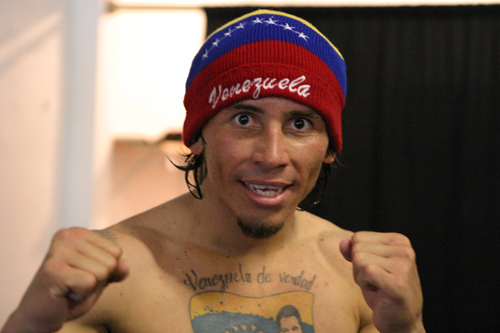 In 2006 he beat Vicente Mosquera with a 10th round TKO to win the WBA Super Featherweight belt. In 2009 he won the WBC Lightweight title, defending it 3 times.